Peter is an advocate, a problem-solver, and a leader. Whether defending an accused attorney, fighting class certification, or managing a corporate transaction, he achieves results through his no-nonsense, hands-on approach. Peter is a lawyer’s lawyer. He counsels AmLaw 200 law firms on managing and avoiding risk and defends attorneys accused of malpractice, breach of fiduciary duty, and intentional misconduct. General counsel turn to him for straightforward advice and creative solutions when confronted with claims or trying to avoid them. Peter understands the value of attorney-client relationships. He works to achieve pragmatic solutions to client disputes before they boil over to litigation. He knows the importance of a professional reputation. When litigation ensues, he uses his knowledge of malpractice law and professional ethics to vigorously defend his clients­, often achieving dismissal or summary judgment as a result. Peter appreciates the critical need for confidentiality and discretion when representing other professionals. His practice focuses on securities litigation, shareholder/partnership disputes and real estate litigation. 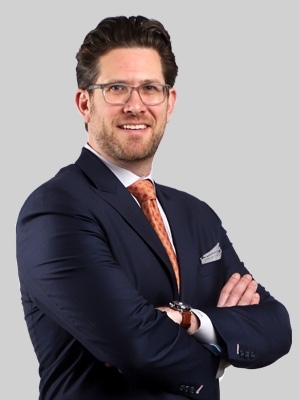 Peter has served as lead counsel for outside director defendants in a securities class action and achieved successful settlements on behalf of oppressed minority shareholders. The proud son of a New York State trial judge, Peter is no stranger to the courtroom and seeks out trial and appellate work whenever possible. His jury verdicts include success for both plaintiffs and defendants, and he has successfully appealed adverse decisions to the Third Circuit and Pennsylvania appellate courts. Peter serves as outside general counsel to a number of small and medium sized businesses. Clients describe him as a “quick study” who understands their business and its objectives. He has managed several $5+ million real estate transactions and the sale of a multi-state book of medical malpractice insurance policies. Peter is as comfortable in the boardroom as he is in the courtroom. A former White House intern and summer clerk to the Honorable Marjorie O. Rendell on the Third Circuit Court of Appeals, who also stocked groceries at Wegmans Food Markets and repaired the public water system with his hometown Elmira Water Board, Peter relates to a broad spectrum of people and is comfortable in diverse settings. Peter served as a member of the Hearing Committee for the Disciplinary Board of the Supreme Court of Pennsylvania from 2012-2018.